BALLYMENA’s premier retail destination, Fairhill Shopping Centre, home to Marks and Spencer, Debenhams, New Look and Next among others, got everything they wished for this Christmas with an impressive 10% increase in footfall figures compared to 2017 over the Christmas and New Year period. Following the news that Next has re-committed to the Centre until 2024 and the opening of a further four units including River Island Kids and The Kiosk in 2018, December’s footfall figures confirms that the shopping Centre is a location of choice for many. The County Antrim shopping Centre saw a 9% increase in footfall over the week 22 to 29 December compared to that of 2017 and an increase of 7% across the month of December compared to the previous year. Natalie Jackson, Fairhill Centre Manager commented: “We were delighted with the footfall figures over the Christmas and New Year. The Centre was extremely busy throughout the period with tenants dealing with the Christmas and sales’ rush. The last quarter of 2018 saw a reasonable increase of 2% on footfall, in addition to the festive footfall figures. We are looking forward to 2019. 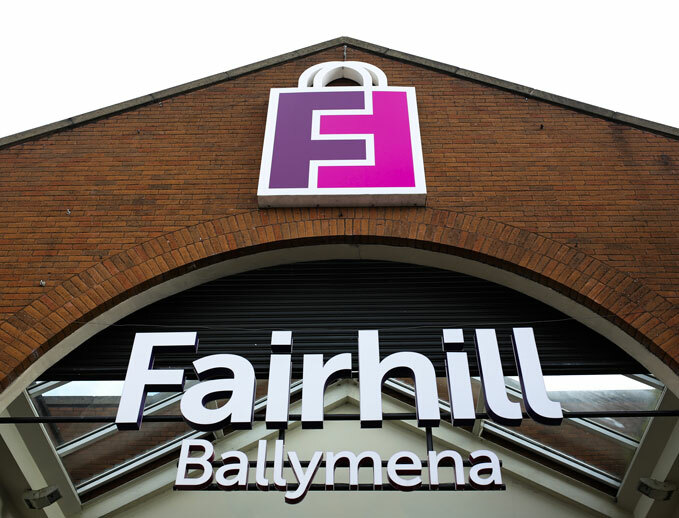 “Even though we all know it can be challenging at times on the High Street, these statistics show that the Fairhill Shopping Centre in Ballymena is a very favourable destination for people far and wide given the great mix of high street, independent retailers and eateries within the Centre. “The addition of a number of pop-up stands throughout the mall including LMD, Calendar Club, Montgomery ’s Gift Store and Freshways ’ fruit and veg over the Christmas period added to the offering for shoppers helping to bolster the footfall.